Tal Boldo is a self-published award-winning novelist and audio book reader and producer. She likes to write under pseudonyms that relate to her stories. Her love story, Looking Glass Friends, was published under E. L. Neve, an anagrammatic tribute to the real letters which inspired the novel. The novel is a 2017 New York Book Festival winner, a 2017 Los Angeles Book Festival winner, and a 2017 Pacific Book Award Finalist. Her middle grade fantasy, The Sound and the Echoes, was published under Dew Pellucid (Tal being the Hebrew word for Dew). The novel was a 2013 Juvenile Fiction Finalist in the National Indie Excellence Awards, and an Honorable Mention recipient in the 2012 Los Angeles Book Festival. Her production of Looking Glass Friends is her first foray into the world of audio books. 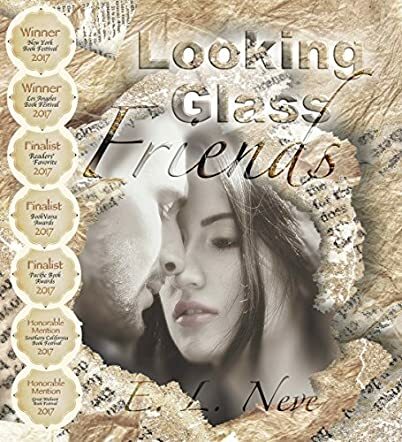 Looking Glass Friends: A Novel Inspired by Real Love Letters by E.L. Neve is the story of Ellie and Neil who fell in love with one another over email. They started off very simply talking about the novel Atlas Shrugged by Ayn Rand. The question for them becomes can two people fall in love with one another, heart and soul, before they actually look at one another? More importantly, it looks at all the different facets of love - the good and bad and everything else. This is a great book. We live in an age where dating and the idea of how to date has changed and yet there are some things that we find are still the same. Courtships often used to happen through letters; now they can sometimes happen by email. These relationships tend to be looked at in a strange light. Why should they, though, in this day of technology? There are many things that are expressed through these letters, and I found the book to be an enjoyable read overall. If you want to feel inspired and also ask yourself some questions of yourself and love in general, this is the book for you. I enjoyed every moment that I spent with this book and I think you will too. This book is about more than just one story, although it is enjoyable. Seeing two people who find their soul mate, and yet it never is that easy, is it? Sometimes the easiest part of love and soul mates is finding them. The hard part is making it all work in this crazy world of ours.